Apply your Center Mark and actually using it too (with advanced right-click commands)! For what do we use center marks? Center marks are a drawing standard annotation placed at the center of holes and other radial features. This allows a drawing reader to see two things quickly. First, they can immediately see the feature is radial (hole or fillet). Second, they can quickly identify the center of that feature. Dimensions placed on hole typically originate from the hole’s center, where the center mark is placed. This adds clarity to the drawing. It seems like every year, there’s one or more enhancements for center marks in SOLIDWORKS. In SOLIDWORKS 2009, center marks for slots was added. SOLIDWORKS 2010 saw smarter center marks, which applied the appropriate gap from the dimension’s extension line, even if the center mark was placed after the dimension. SOLIDWORKS 2011 and 2012 saw the added abilities to automatically apply center marks in more situations. Center marks could be automatically applied to a default layer in SOLIDWORKS 2013. In SOLIDWORKS 2014, center marks can be added to Hole Wizard slots. And, SOLIDWORKS 2015 now includes the ability to add center marks to a set of center marks, reattaching dangling center marks, and automatically applying connection lines to center mark sets upon creation. This is just the past five releases. Center mark enhancements have been added nearly every year since Drawings was first introduced in SOLIDWORKS. SOLIDWORKS has many center mark capabilities in Drawings. The c0llection of What’s New items listed above form only a short list. Here’s some tips and tricks you may not know about. When you start the Center Mark tool, a PropertyManager comes up that allows you to set properties for the center marks you are about to create. In the Manual Insert Options group box (about the middle of the PropertyManager), there are three buttons: Single Center Mark, Linear Center Mark and Circular Center Mark. Single Center Mark (top left) makes individual center marks that aren’t associated with other. Linear Center Mark (top center) creates a set of center marks in a linear (x,y) pattern. Circular Center Mark (top right) creates center marks in a circle pattern. With Linear Center Mark and Circlar Center Mark, a set of center marks are created, allowing you to apply connector lines between center marks for clarity. 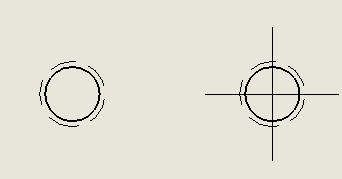 Linear Center Mark requires two selections to form a set (two holes). Circular Center Mark requires three selections (three holes) so that the center of the pattern of three holes (presumably on a bolt circle) can be established. 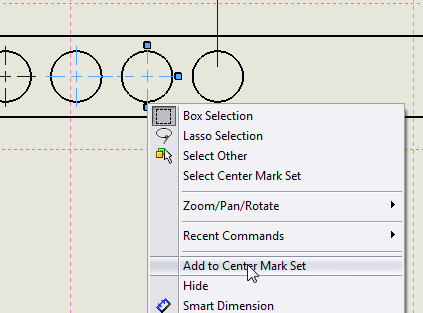 As of SOLIDWORKS 2015, there are now two methods to add center marks to a set of center marks (Linear Center Mark or Circular Center Mark). 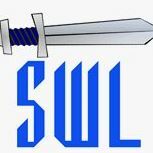 The first method existed before SOLIDWORKS 2015. It involves merging one existing center mark with one existing center mark set. Select any portion of the center mark set. Hold down the CTRL key and select an independent center mark. Right-click on either the set or the independent center mark, then release the CTRL key. In the right-click menu, select Merge Center Mark. The second method is now available in SOLIDWORKS 2015. This new method doesn’t require an existing independent center mark. Right-click on any portion of the center mark set. In the right-click menu, select Add to center mark set. Select every hole to which you wish to apply a center mark. To delete a center mark from a center mark set, simply select the center mark and strike the DELETE key. The center mark set adjusts automatically. Double-click any portion of the center mark set. This will select the whole set instead of just one element. Strike the DELETE key. The entire center mark set will be deleted at once. In SOLIDWORKS 2015, you can now reattach a dangling center mark. (A dangle center mark is one that is no longer attached to its original geometry.) Simply right-click on the dangling center mark and select Reattach. You can then select a new hole to which the center mark will be attached. If you have a bolt circle of only two holes on a round part, you might experience a limitation of Circular Center Mark. As mentioned above, you need three holes to create a center mark set with Circular Center Mark. You can also create a center mark set using just two holes and exterior geometry. However, if exterior geometry is not available, there’s just an extra couple of steps. Start the Center Mark tool and choose Circular Center Mark. Select the two holes. Orthographic center marks will initially appear in those holes. Select the outer geometry of your round part also. This will put the center of the center mark set in a strange location, but that’s ok. In the right-click menu, select Set Base Center. This will now make the center of your bolt circle to be the center of the part. Very well written. The “workflows” are not in the publisher’s help. The inability to manage existing centermarks by normal property manager means indicated something was missing.